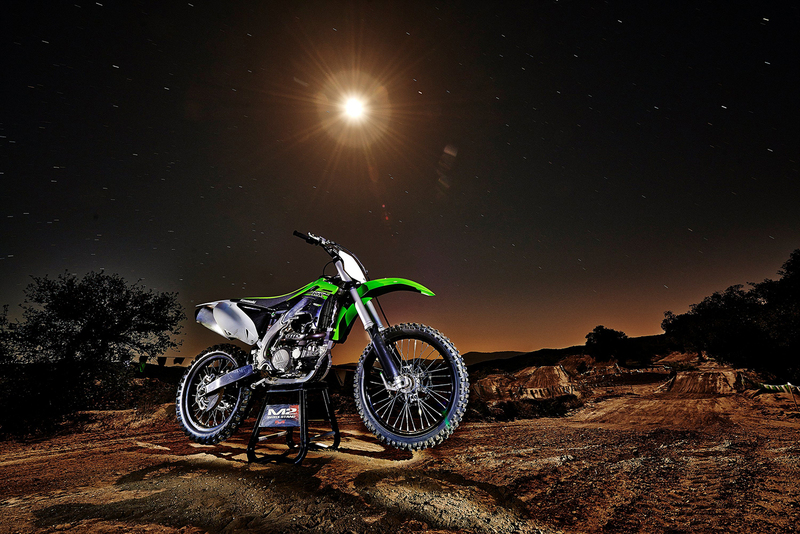 Kawasaki has launched their new 2015 KX 250F and KX 450F motocross bikes. The 250F features launch control mode, plug-n-play DFI Couplers and Separate Function Fork along with new features such as the updates to the Showa SFF forks, improved engine tuning, and adjustable footpegs and handlebar clamps. 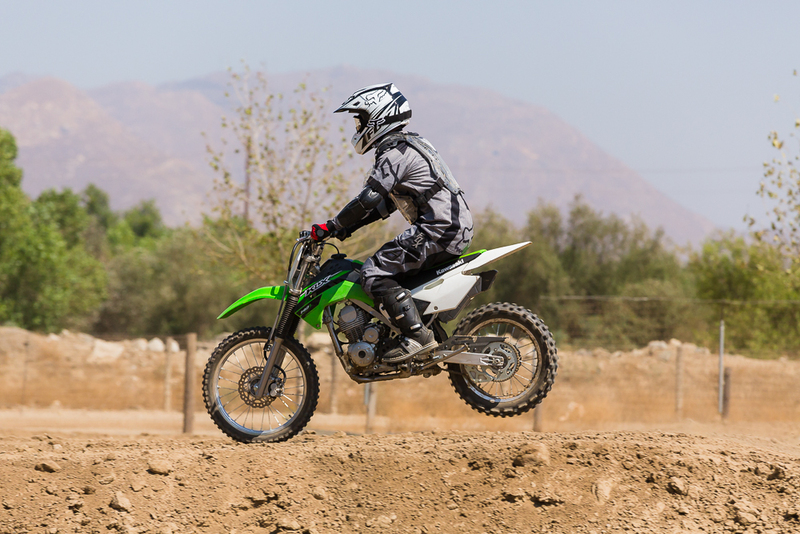 The 450F is known for dominating the AMA Supercross and AMA Motocross Series for the past few years thanks to both the talents of rider Ryan Villopoto and the bikes stand out performance. New for 2015 is increased rider adjustability for a variety of riders in any condition along with a Showa SFF-Air TAC Fork with Triple Air Chamber, larger 270mm “oversized” Braking-brand front disc, and a revised bridged-box-bottom piston and ECU programming. 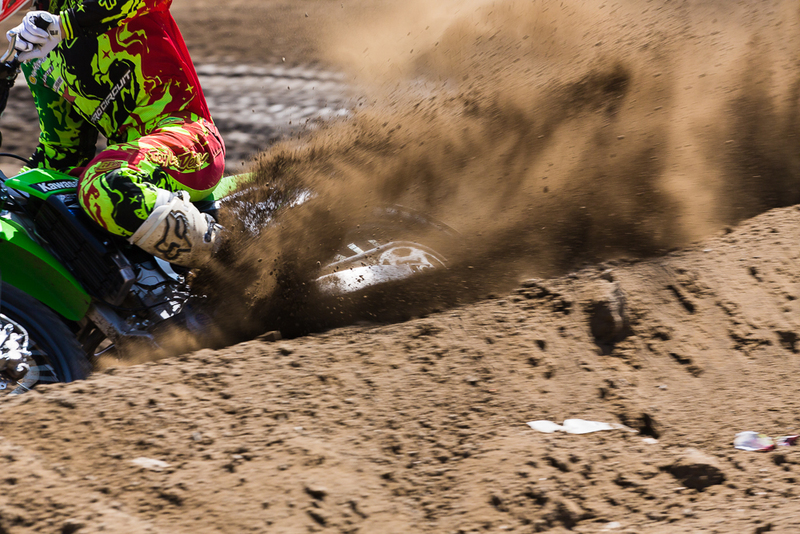 The bike retains it’s industry-first Launch Control System that helps ensure the holeshot. I was invited to see and ride the bikes in person during the launch event, however only having been to a few Supercross events as a spectator and not really having much experience on a dirt bike (or any real bike) for that matter, I was given the opportunity to start small and learn on their smaller 110L and 140L. After getting geared up with all the proper attire consisting of shin guards, arm guards, riding pants, jersey top, helmet, goggles, boots, chest plate and gloves I was ready for just about anything. 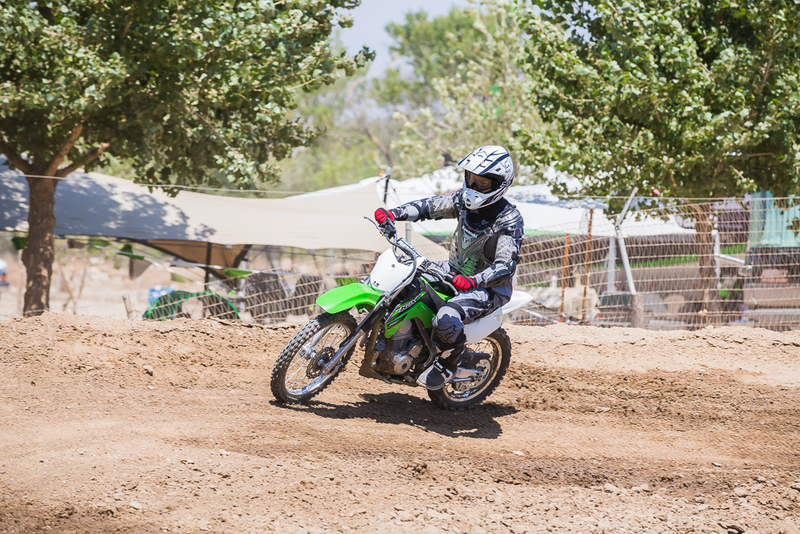 I was given a 30 minute lesson on the bike to get acclimated to the riding, taught how to shift and brake properly before sitting the mini track complete with a berms and table tops. 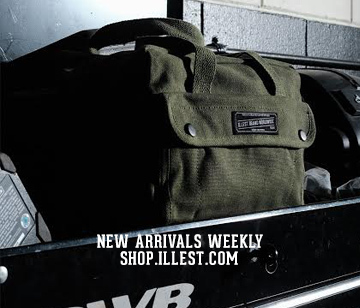 The 110L is pretty much a pit bike or for the younger rider. 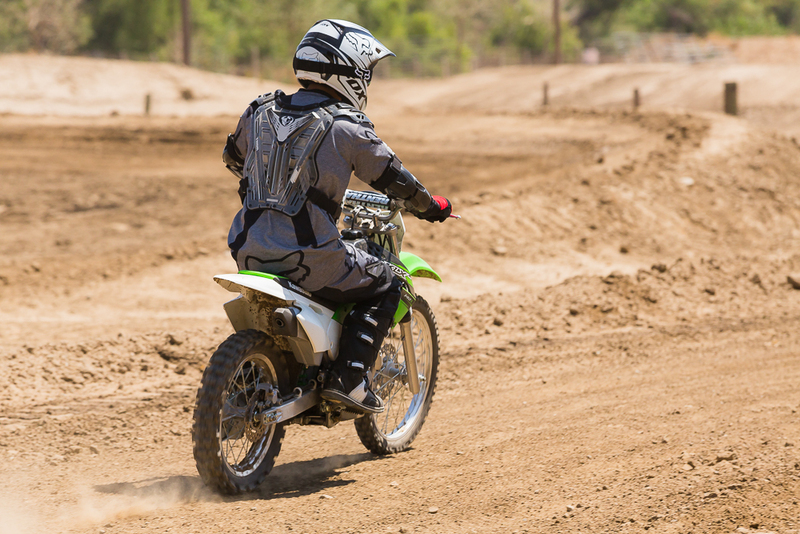 Not that I didn’t have fun learning on it, but the smaller tires just didn’t grip the loose dirt properly to get traction making it very squirrelly and mushy, which at the time I didn’t realize and I just thought thats how dirt bike riding is. After some coaxing and once the 140L was made available to ride I immediately was hooked, it was a night and day difference. The slightly bigger bike was a better ride overall. Shifting was a lot easier and the shocks made for a comfy ride. The tires gripped properly and I felt more at ease riding through the course. The bike made it easy to get used to riding. After about an hour or so I was comfortable going through the gears and braking. I had a photo shoot the next day, so I didn’t push myself too hard, but I did want to try jumping and I’m convinced on my next time out I’ll be able to get some air. 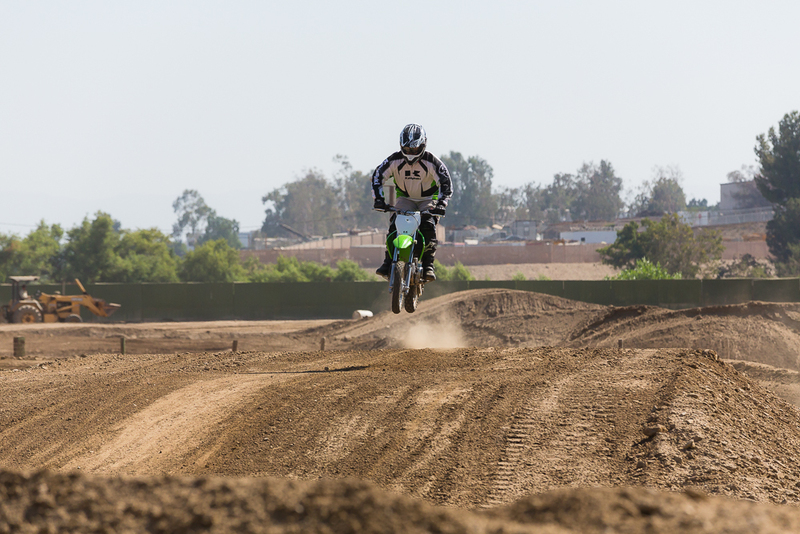 Dirt bike riding is fun. Plain and simple. Getting a little dirty in the process was an enjoyment and I spent the hour or so ride home from Milestone Racetrack in Riverside with a smile on my face. I am also convinced that the guys doing cliff hangers, lazy boys, nac nacs, heart breakers, superman or the modified superman seat grab are all crazy. I have a new found respect for these riders. 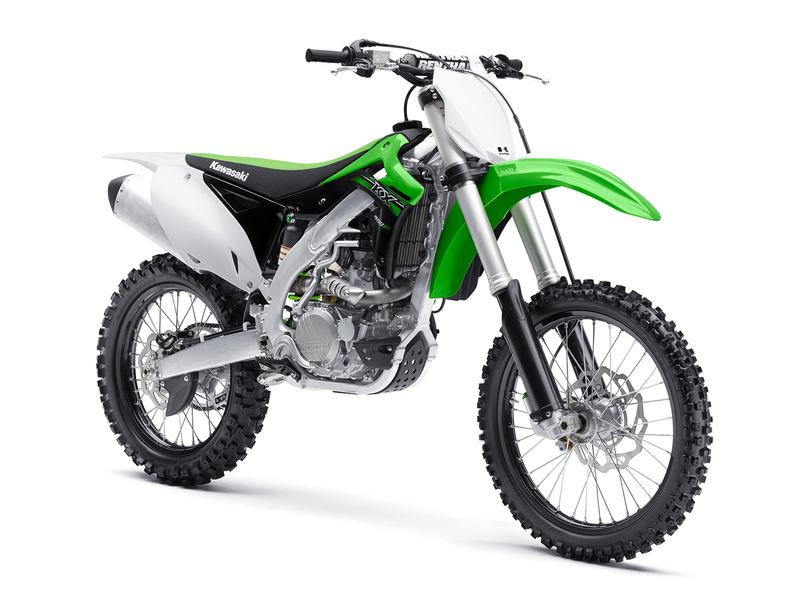 I also found myself wanting a bike more and more and if I begin my career on two wheels on a dirt bike it just may need to be on one of these new Kawasaki’s. 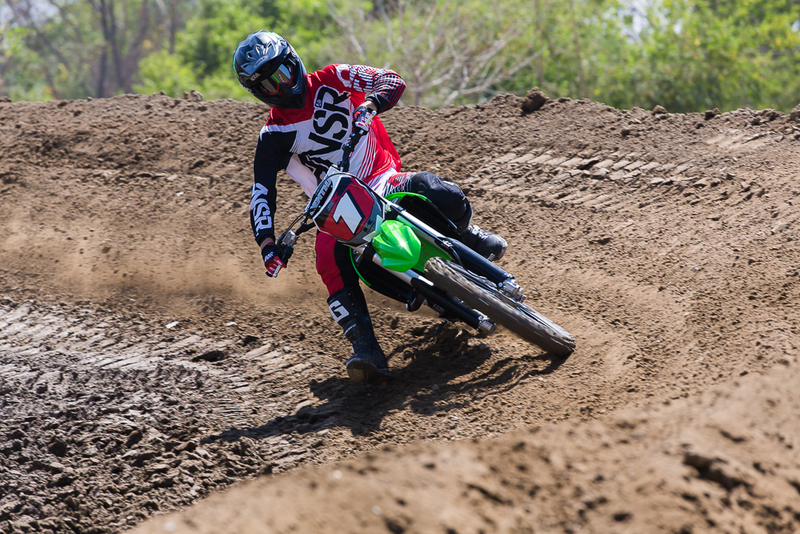 It’s no wonder why Kawasaki keeps winning championships, the product is state of the art, but most importantly it makes riding enjoyable. Thanks to the ID Agency and Kawasaki for the invite. Studio photography provided by Kawasaki. 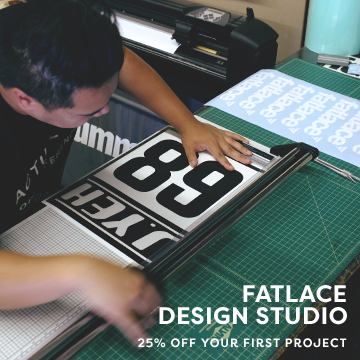 Shakotan by Fatlace & DSPORT!